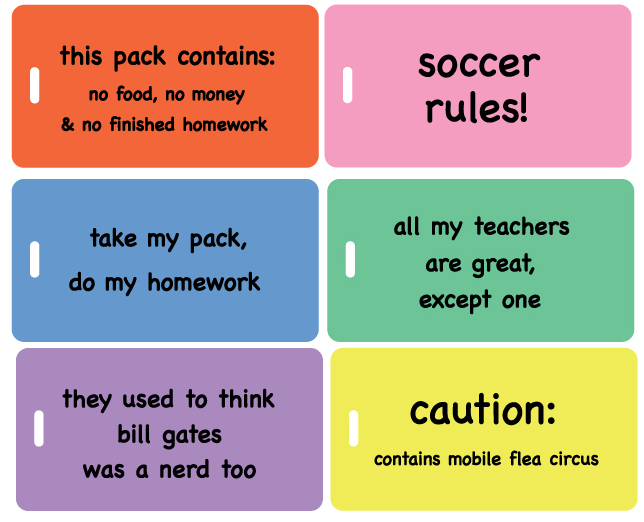 Kids luggage tag - this pack contains: no food, no money & no finished homework. Perfect for backpacks, sports bags and luggage. Includes removable ID information card on tag back, a standard business card will also fit in window. Vinyl attachment loop is included. Tag size: 4.25 inches X 2.25 inches.